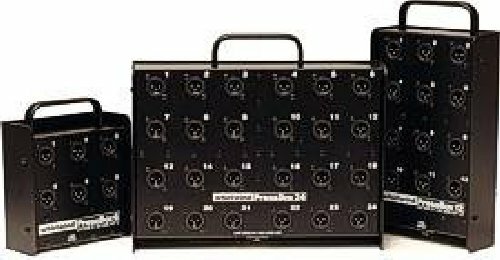 PRESSPOWER unit, the standard for press conferences worldwide. 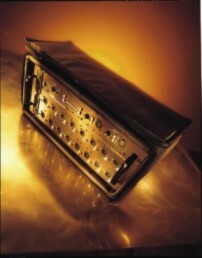 input stage provides clean audio even in high-RF environments. switch to DC back-up in the event of an AC power interruption. PB Series Press Boxes to outputs set to line level. line input. 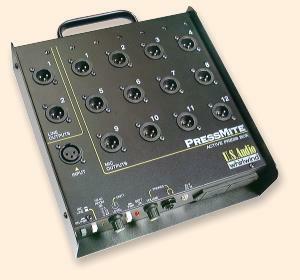 The PressMite also features a built-in headphone amp. hours of continuous operation, monitored by a Battery OK LED. 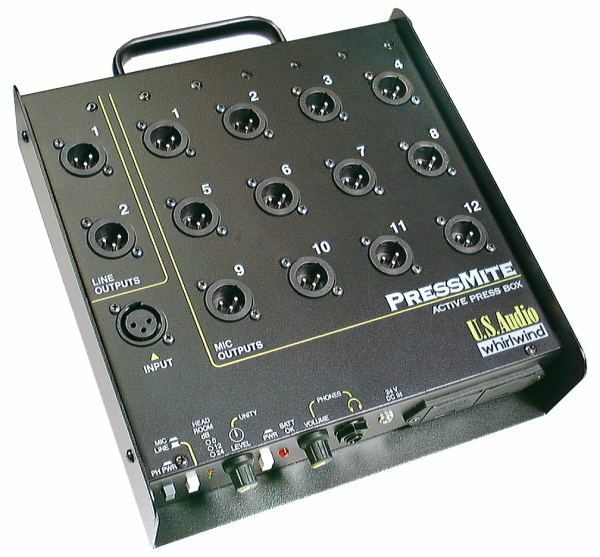 provide up to 48 additional mic outputs. ground lifted to eliminate noise problems. constructed with rugged, cold-rolled steel. 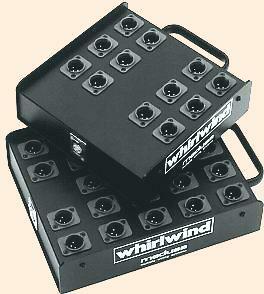 Available with 6, 12, or 24 outputs. to specify the number  of outputs.